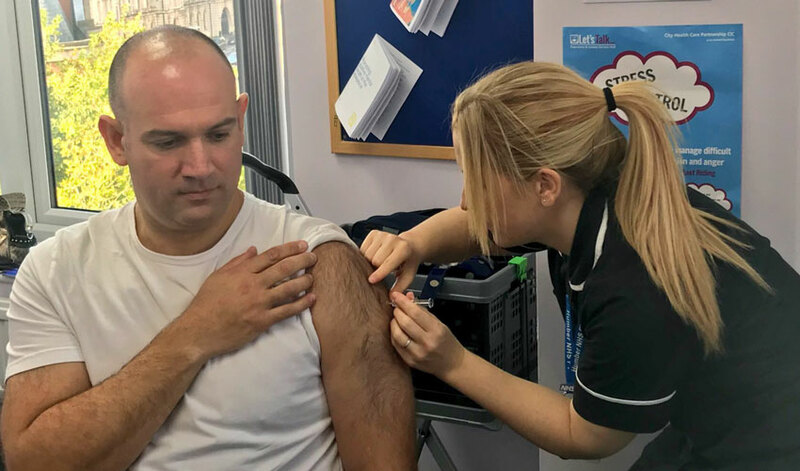 People in Hull are still being urged to take up the offer of a free flu vaccine which could protect against becoming seriously – even fatally – ill this winter. Information from Public Health England suggests that influenza is starting to circulate in the community, is at moderate levels, and the main type is well matched to the strain included in the flu vaccine this year. Anyone aged over 65, people with a long-term health condition, pregnant women and children aged up to ten are all eligible for a free vaccination. Front-line workers including NHS staff can also receive it, to protect vulnerable people and themselves. Last year, across the wider Yorkshire and Humber area, more than 300 people were admitted to intensive care units after catching flu; we are starting to see increased hospital admissions for patients with flu-like illnesses in Hull. Eligible adults are encouraged to get their free vaccine from their local general practice or pharmacy to protect themselves and their families before the flu reaches its seasonal peak. It is the single best way to protect against a potentially very serious illness. “We can’t predict with absolute certainty how flu will affect the population in any given year, but the vaccine is the best protection we have. It’s crucial that people understand the vaccine does not and cannot give you flu because the virus contained in the vaccine is inactivated. It can cause a slight temperature and aching muscles, but this is nothing like the severity of actually catching flu”. We understand that supplies of the flu vaccine are still available and eligible adults are encouraged to contact their general practice or approach their local pharmacy. As well as getting the vaccine, practising good hand hygiene by catching coughs and sneezes in a tissue, throwing it away and washing your hands after can help limit its spread – catch it, bin it, kill it.